Yes, I only want to look at accurate link data! We re-crawl all your the links, so you can base your decisions on accurate data. Don’t base your decisions on link data that’s 5 years old. There are many link databases out there. It’s true, you can buy access to a link data base that has millions of links. And that’s all fine. But you need to have in mind that the links in that database are old. Links change every day, the risk that they carry changes. A domain that helped your website rank better 5 years ago, might have turned into a malware website. 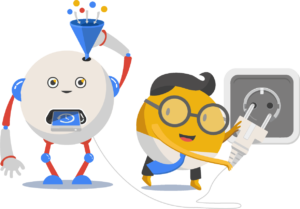 LinkResearchTools (LRT) re-crawls all the links for you. You get fresh data 1-30 days, not 5 years old data. With LinkResearchTools (LRT) you can be 100% sure that you base your decisions on accurate link data. Why? Because we re-crawl all the links for you. The link data you look at is fresh. The “LRT difference” is that LinkResearchTools (LRT) also crawls links that are blocked in robots.txt for other link crawlers. Some link crawlers classify these links as “deleted” when they get blocked from crawling them, but you need to have in mind that these links still exist. This is why so many “so called deleted” links make a LOT of sense for highly professional online marketers to analyze. Every link database has only a piece of the world’s link graph. 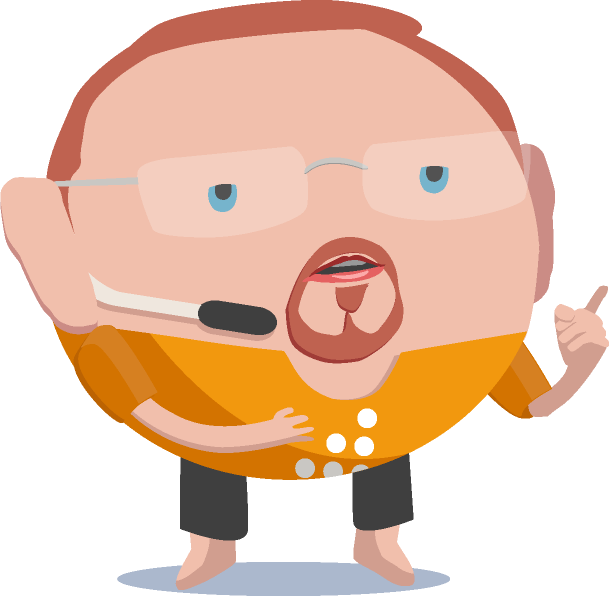 If you want to see the full picture of your backlink profile, you need to combine all those link sources. Can you do that manually? It would take you months or even years of boring work merging link lists and removing dul=plicates in Excel. And before you know it, the link data is old. 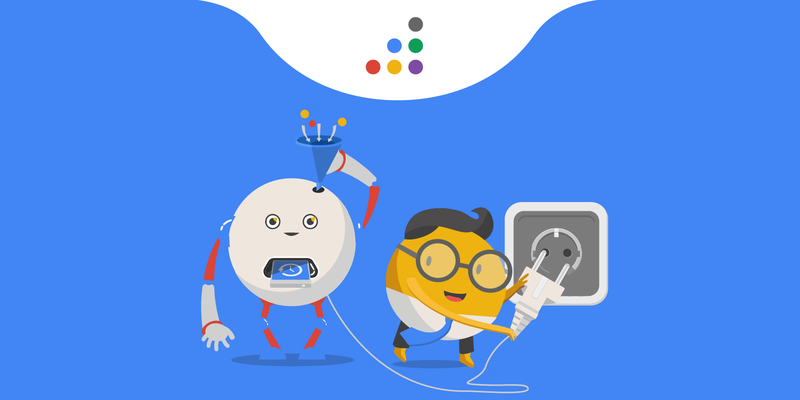 This is your only chance to improve your Google rankings. 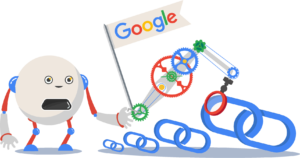 Learn more about the benefits of a full backlink audit. 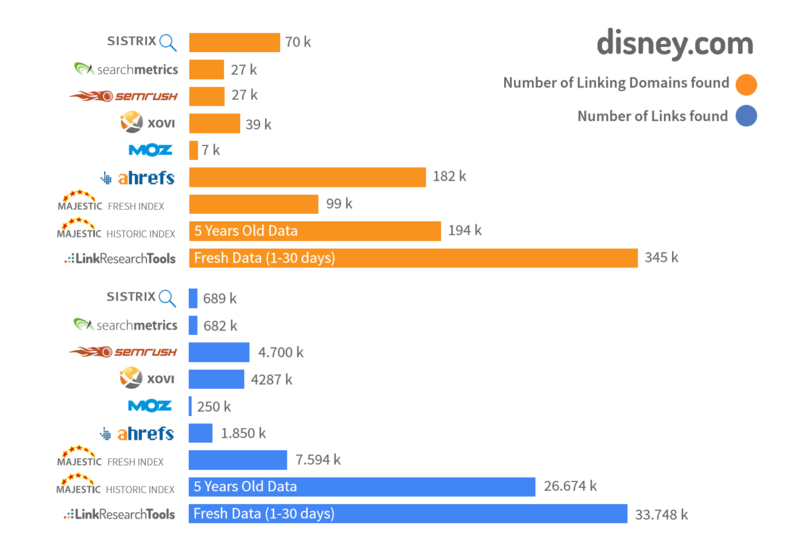 In the below analysis of the backlink profile of disney.com, it’s easy to spot the tool that finds the highest number of backlinks. And not only that we find more links than any other tool, but it’s links that we re-crawled in the past month (1-30 days). Check more backlink profile analysis results diagrams.